In this talk, I touch on the need to educate yourself. Wicca and Witchcraft are paths of knowledge; we never stop learning. Our continued education is what keeps us motivated, inspired, and connected to each step we take. 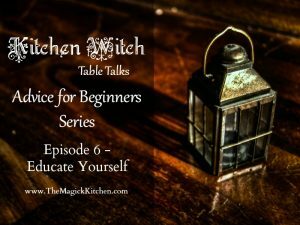 Of course, educating yourself takes dedication, everything related to Wicca and Witchcraft takes dedication. You have to hold yourself accountable and continually seek out the knowledge you need to know. It is about the journey rather than a destination. Confused about where to begin? This is a GREAT place to start.